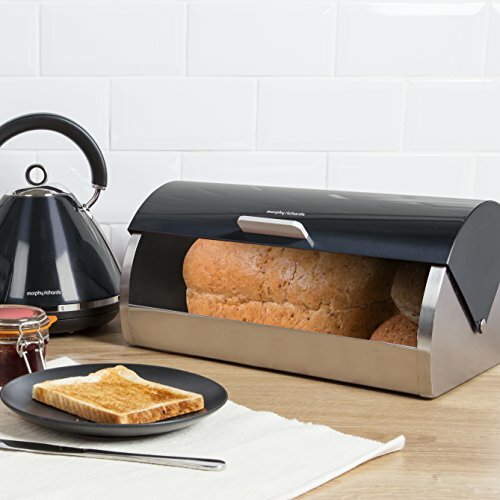 What Is The Best Bread Bin On The UK Market? A bread bin is an easy and convenient way to keep home-baked or store-bought bread fresh for longer. 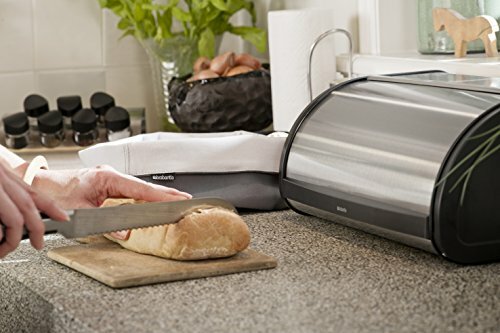 It provides an optimal environment with just the right amount of humidity to keep the bread soft and fresh. It also provides protection from pests like rats and roaches. A bread bin keeps the bread at room temperature for 2-3 days. If it is processed bread from the store, it can stay fresh for 5-7 days. Below, I’ve reviewed the five best (and most stylish) bread bins you can buy online. They are easy to use, provide plenty of storage space and they add a nice touch of style to your kitchen. But first, a few tips to keep in mind when you are shopping for a bread bin. Look for a bread bin that will meet your storage needs. If you family doesn’t eat a lot of bread, you can get a compact bin that’s just big enough for a single loaf and maybe some buns. But if you buy or bake a lot of bread, get something bigger that can fit a couple of loaves, maybe some bagels, a few crumpets and whatever else you need to keep fresh. Some bread bins come with a double decker design. This provides more organized storage for different types of pastries. As you consider the size of the bread bin, make sure you have enough space on your kitchen counter. Don’t get something too big that will clutter your kitchen. If you have limited counter space, get one of those bins that can be hanged from the wall. Alternatively, look for a bread bin with a narrow and tall design. It will still hold as much bread as a wider bin but it will take up less space. Wood, enamel and ceramic are great if you are looking for a warm vintage look. Stainless steel on the other hand blends in perfectly in a modern kitchen. Most metal bread bins are available in a wide variety of colours. So if the stainless steel finish doesn’t work for you, you can get it in red, black, grey and other colours. The type of material doesn’t matter much when it comes to how the bin works. It’s really a matter of personal preference. Wood works just as fine as steel. Other material options include plastic, ceramic and enamel. Check that the bread bin door is easy to open and close and that it provides easy access to the bread inside. One of the most common opening mechanisms is a roll top door. The door slides upwards towards the top and back of the bin, providing easy and wide access to the bread. 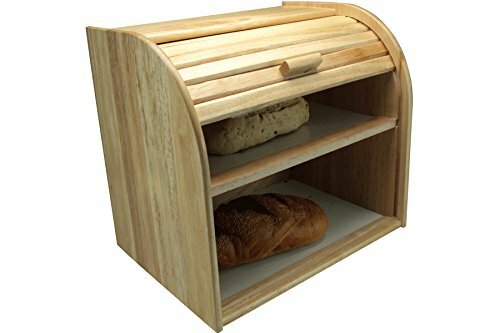 Other bread bins use a hinged door that opens towards the front of the bin. Top lids are also common. You simply lift the lid to access the bread inside the bin. Some bread bins come with extra features that might prove useful. The most common extra feature is a cutting board lid. The lid also works as a bread cutting board. Other bins come with a flat top where you can store cans and other items to save space. Others have slots at the back which allow you to hang the bin on the wall. This is great for space-limited kitchens. 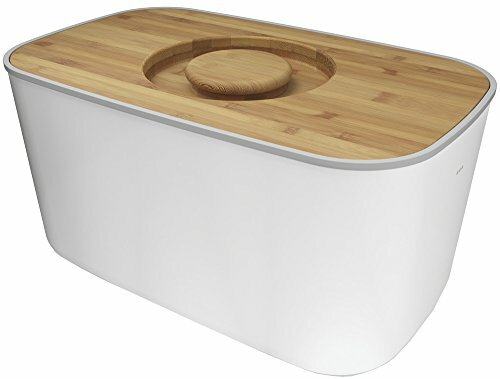 Bravantia’s bread bin has enough space for a loaf or two, some buns and even a pack of biscuits. Measuring 25cm by 46cm, it takes up little space on the counter. And as a bonus, the flat top gives you additional space to put canisters and other small items. If you don’t have enough space on your countertop, there’s the option of hanging it on the wall using the slots at the back. The door is a fall front type. It is secured by a magnetic seal which is easy to disengage. Just a light pull and the door falls forward. If the bin is on a flat surface, the door will rest flat on the counter. If the bin is at the edge of the counter or hanged on the wall, the door will hang down. The bin looks really sleek and modern with a polychrome and steel finish. The materials are durable and corrosion-resistant. Easily fits two standard loaves plus smaller pastries like buns and bagels. Extra storage space at the top. Option to hang it on the wall. 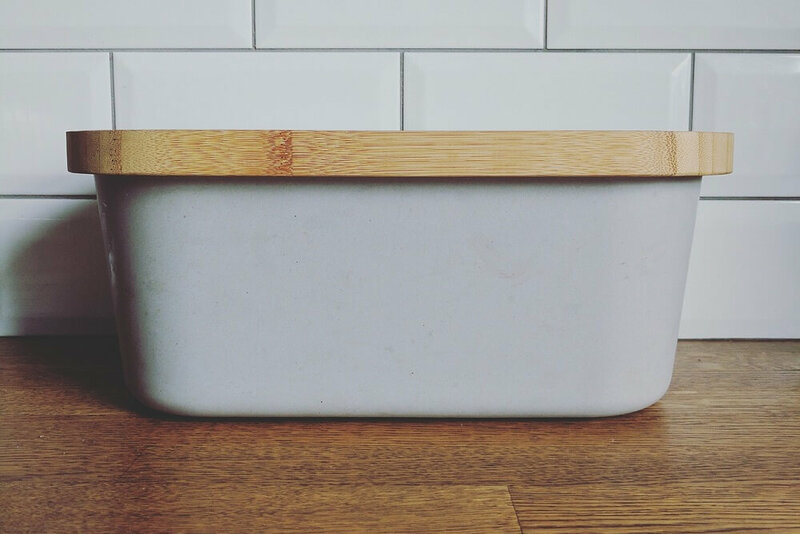 If you prefer the farmhouse style of a wooden bread bin, get this double decker one by Apollo. It looks beautiful especially with the curved front and slatted door. The door uses a roll up mechanism that is easy to open and close. As for space, you have plenty of it. This bin maximizes on vertical space while keeping the footprint compact to ensure it takes less space on your counter. So while it is a bit small in width, the 15” high double decker design is big enough to store a loaf of bread in each level plus a stack or two of scones. The shelves have a smooth surface that is easy to wipe. The door rolls all the way up until the handle touches the top part of the bin. This gives you easy access to both shelves whether you are putting in a loaf of bread or taking it out. Beautiful classic design that looks great in the kitchen. Space-saving design that is spacious enough for all your bread storage needs. Easy to use roll-up door. You’ll love the versatile design of this steel bin. The bin itself is quite spacious. It can hold a full loaf and a few other pasties like buns, a cake and whatever else you need to keep fresh for a few days. It is made from durable and corrosion-resistant steel and is available in either white or black. The lid is bamboo with an easy-lift handle at the top. But you can also reverse it and use it as a cutting board. It’s big enough that a standard loaf of bread will fit on it perfectly. A groove around the edge catches bread crumbs, which keeps your work area clean. The lightweight lid/cutting board is easy to lift off the bin. When the bin is closed, it provides a tight seal to keep your bread fresh. Easy to clean – just wipe the bin with a moist cloth and hand-wash the bamboo lid. 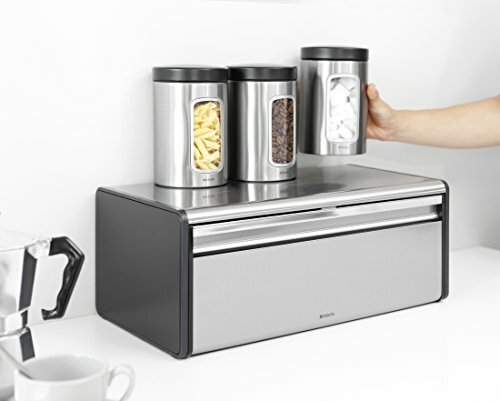 This is a good alternative to Brabantia’s fall front bread bin for those who prefer a roll top design. It comes in several finish options including matt steel, red, almond, platinum, metallic grey and others. Pick whichever goes well with your kitchen style. The main material is steel with plastic handles for when you need to move it. The door uses a roll up mechanism that opens it wide enough that you have plenty of room to get the bread in or out. The bin itself is fairly spacious. It can fit one large loaf or one large and one small loaf. You can also squeeze in a couple of buns without squishing the other items. Measuring 44cm wide and 27cm deep, it doesn’t take up a lot of space on your counter. And like their fall front bin, you also get a bonus storage space on the flat top for canisters, tins and other small items. One thing customers have noticed is that bread seems to stay fresh for longer in this bin than with other bins they’ve used before. That is because of the knobbly pattern at the base of the bin that improves airflow. This prevents too much humidity – which attracts bacteria – from building up inside the bin. Keeps bread fresh for longer. Easy to use roll top door. This is another great option if you are looking for a metal roll top bread bin. It is large enough to fit a large loaf of bread plus several buns or scones (dimensions: 39 x 27 x 19 cm). The roll top closes and opens smoothly with minimal effort. It’s especially convenient for someone with weak or arthritic hands. The bin comes in 6 different finishes including polished titanium, stainless steel, ivory, copper and matt titanium. It feels quite sturdy thanks to the stainless steel construction. It is scratch, corrosion and dent resistant. Compact bin that takes up little space on the counter but spacious enough to fit a large loaf. Easy to use roll top. Wide variety of finishes to match your kitchen style.